Extremely practical and wearable in all circumstances, the new Pioneer Perpetual Calendar from H. Moser & Cie. differs from most perpetual calendar watches which, most of the times, are pretty delicate machines. First introduced in 2015, the Pioneer was designed with the intention to offer an everyday-wear watch, robust yet elegant. 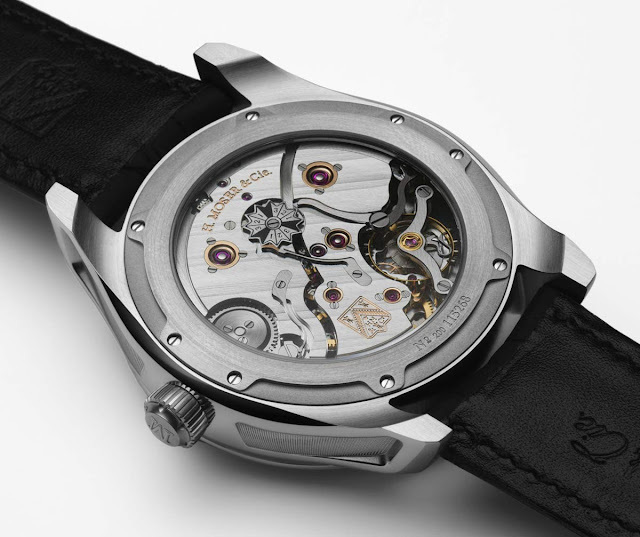 Water-resistant to 120 metres, the new model comes in a 42.8 mm stainless steel case. 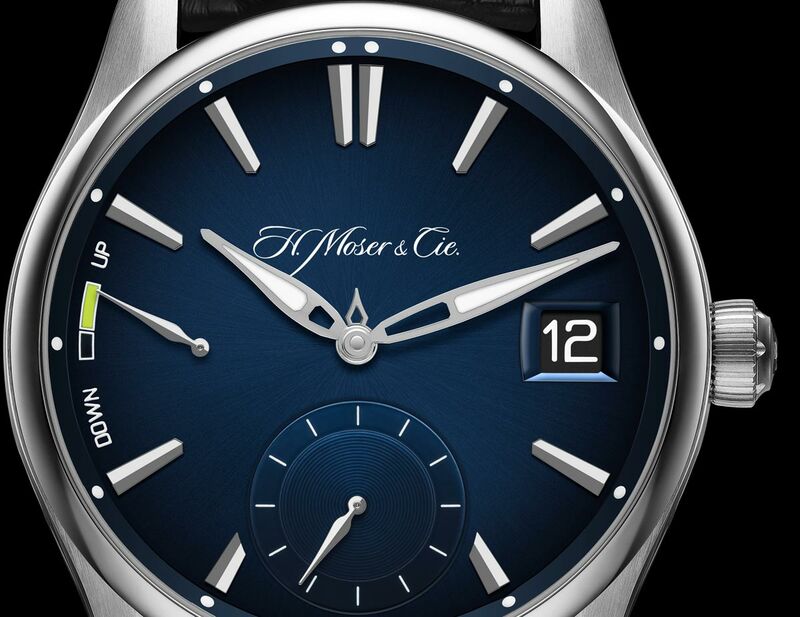 The height is 11.3 mm without considering the curved sapphire crystal. 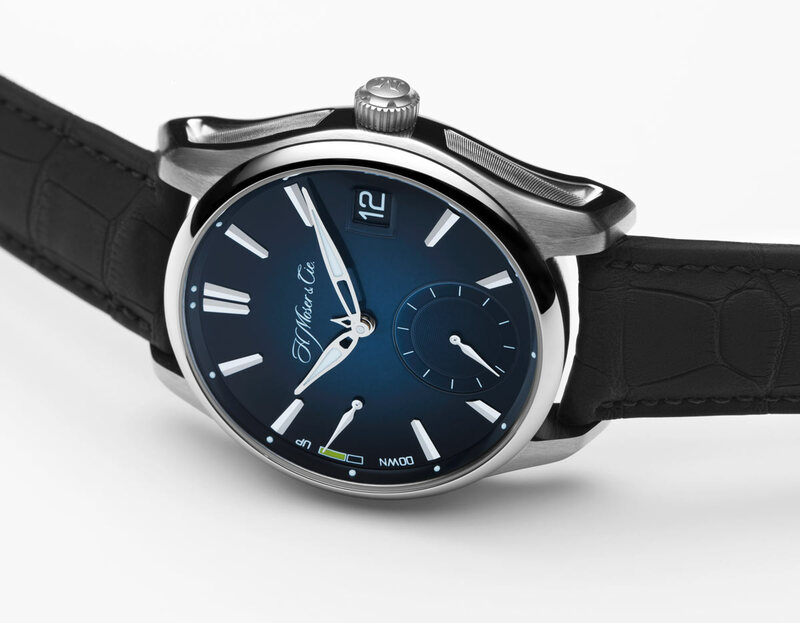 The midnight-blue fumé dial of the Pioneer Perpetual Calendar features a flange with luminescent dots and large hands filled with Super-LumiNova for excellent legibility in any light conditions. The patented flash calendar cleverly uses the hour indexes to show the months and allows the date adjustment forwards and backwards at any time of day. On the back, the beautifully refined H. Moser perpetual calendar calibre can be admired through the curved sapphire crystal case-back. Executing one of the most prestigious complication with absolute simplicity, the HMC 800 calibre beats at 18,000 vibrations per hour and guarantees a minimum power reserve of 7 days. There are very good perpetual calendar watches in stainless steel - I am thinking to JLC in particular - well below Eur 20,000 so I am very disappointed to see the price tag of this model. H. Moser & Cie. - Pioneer Perpetual Calendar. 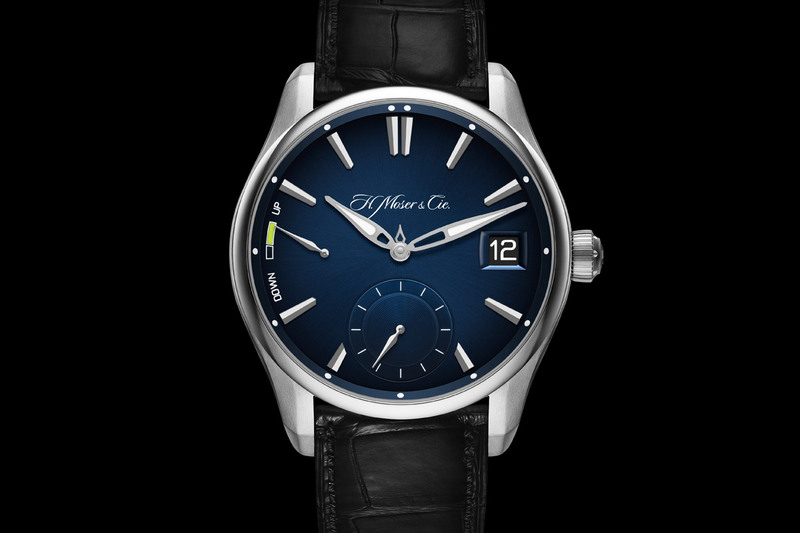 Extremely practical and wearable in all circumstances, the new Pioneer Perpetual Calendar from H. Moser & Cie. differs from most perpetual calendar watches which, most of the times, are pretty delicate machines. 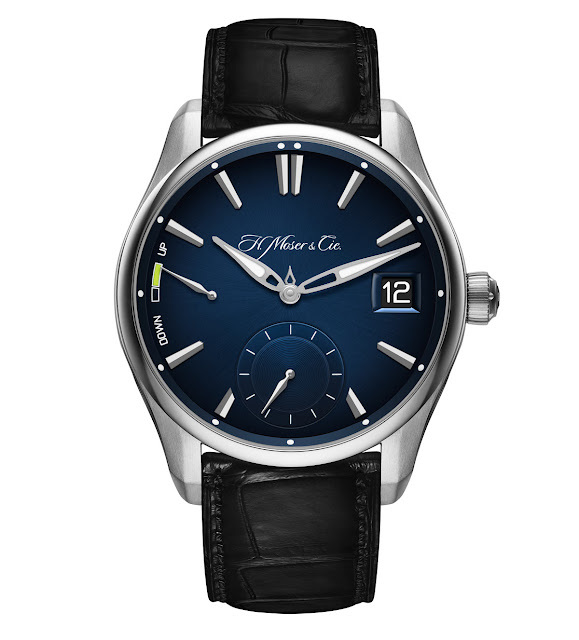 the H. Moser & Cie. Pioneer Perpetual Calendar has a price of Euro 38,000.